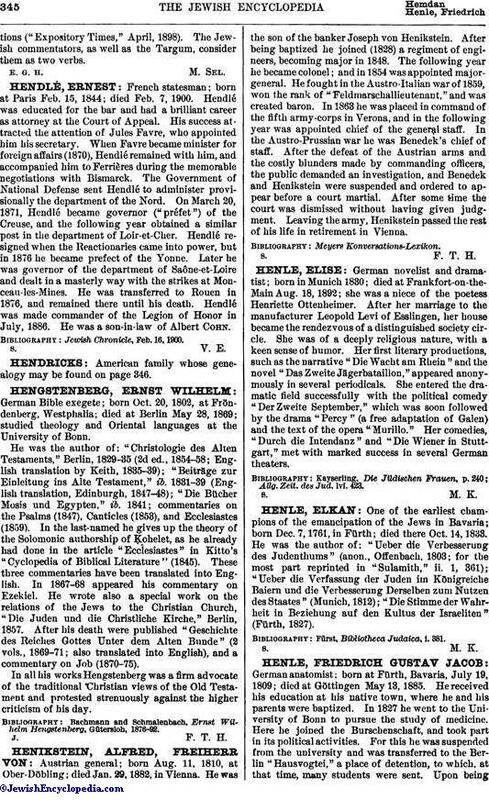 German novelist and dramatist; born in Munich 1830; died at Frankfort-on-the-Main Aug. 18, 1892; she was a niece of the poetess Henriette Ottenheimer. After her marriage to the manufacturer Leopold Levi of Esslingen, her house became the rendezvous of a distinguished society circle. She was of a deeply religious nature, with a keen sense of humor. Her first literary productions, such as the narrative "Die Wacht am Rhein" and the novel "Das Zweite Jägerbataillon," appeared anonymously in several periodicals. She entered the dramatic field successfully with the political comedy "Der Zweite September," which was soon followed by the drama "Percy" (a free adaptation of Galen) and the text of the opera "Murillo." Her comedies, "Durch die Intendanz" and "Die Wiener in Stuttgart," met with marked success in several German theaters. Allg. Zeit. des Jud. lvi. 423.